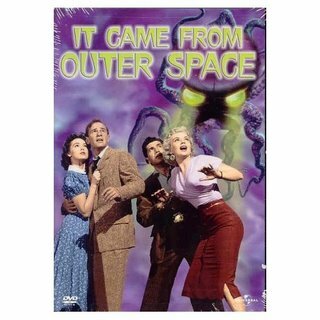 This is one of the best space invaders movies of the 1950s. It revolves around an astronomer, John Putnam, and his girlfriend, Ellen, who see something crash into the Arizona desert behind his house. When they go to investigate John finds a flying sauce. Unfortunately there is a rock slide that covers the space ship so no one believes him except Ellen. However, once the people in the town start acting strange the other citizens decide to fix the "martians". I love these old sci-fi and horror movies. Most of them actually have a good message behind them. The message of this movie is that just because someone looks different and comes from a different place they are not necessarily a danger. This movie is considered by many sci-fi aficionados to be one of the best of its genre. It is a fun movie and I highly recommend it.